Taxes has always raised eyebrows of peoples and are more concerned about reducing its impact. Taxation on investment reduces the net impact of return on investment. This post discusses mutual funds taxation in detail with focus on Equity Funds Taxation, Debt Funds Taxation, SIP Taxation, Balanced Funds Taxation, Index Funds Taxation , Mutual Fund Dividend Treatment/Taxation and ELSS Taxation. Balanced fund vs equity fund reviews the difference, similarities, advantages and dis-advantages of both types of funds. Balanced Funds are the category of mutual funds which invests in a mix of stocks and bonds. The fund is also known as the hybrid fund. The fund is designed to provide investors with modest capital appreciation and provide safety from volatility. ETF vs Mutual Fund is one of the top question in every investor’s mind. We review the difference, performance and investment methodology of both in this blog post. As the name suggest, Debt Mutual Funds invest in different categories of debt securities like Government Bonds, Corporate Bond, Money Market Securities, Treasury Bills of different maturity date and have fixed interest payment. Debt Mutual Funds are categorized into various types like Dynamic Bond Fund, Short Term Debt Fund, GILT Funds etc. Every Debt Mutual Fund carries a credit risk rating assigned by external rating agencies, which indicates the creditworthiness of the borrowers. 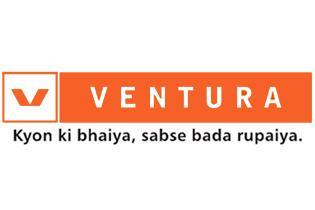 This post discusses about Ventura Securities Demat and Trading Account Opening, Charges, brokerage, apps and other features. In this post, we review about Angel Broking Trading and Demat Account Opening, Brokerage Charges, Angel Broking apps and Angel Broking Account Features. Sukanya Samriddhi Yojana is a govt scheme for the girl Child however very few people know that sukanya samriddhi account can be opened in post office as well. We discus about Post office Sukanya Samriddhi Yojana Scheme Details, how to open an account and tax benefits in this blog. Reliance securities is a full-service online trading and investment platform and is the broking arm of Reliance Capital. In this blog we look at Reliance Securities Features, reviews, trading account opening and Brokerage Charges. Reliance Securities started its operation in 2005. It has a strong presence across the country with 1000+ offices serving 8 Lakh customers. KYC is an acronym for- Know Your Customer. It allows banks to understand and know their clients and their financial dealings in a better manner. This enables them to serve their clients in a superior way and also helps to manage risks sensibly. KYC forms for mutual funds are available with CAMS or CVL.